Welcome to Psy Investigations, where we explore of the state of reality, from the psychic to the psychological; the world of the psyche, of consciousness itself. In these explorations we encounter the mysterious domain of shadows; fleeting glimpses from the corner of the mind's eye. This is the lair of the supernatural, the supernormal, and of magic. 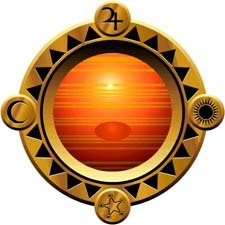 The traditional foundation for the ever continuing search consists of the basic mystery arts and sciences of astrology, numerology, kabbala, tarot, ancient alchemical systems. Palmistry, runes, and other oracles arose in response to, again, the need to know. So then, separate cultures develop particular methods of divination and control using methods of magic such as voodoo with its use of orishas and talismans. Each has its purpose and a place in controlling one's world and when used for inquiries into life's everyday problems as well as in tracking down the elusive truths of life itself. Modern technology has infinite offerings in our investigations as well. Futuristic seeming sleep and learning devices and other consciousness controlling methodologies and technologies are trickling into the public awareness. Tools of inquisition such as the science of remote viewing, which opens a view into other places and times by means of scientific methodology, have surely been used before in times far past. As there is nothing truly new under the sun, so said King Solomon, it may be that what we call modern has inspired the ancient as the ancient inspires the modern. If the guards to the passages were not in place, the individual could access the connection to the greater consciousness and to a reality of awe and amazement by waking from the induced dream. They don't want the maze rats to know that everyone is a player and a pawn and it is their game. The gatekeepers regulate the flow of power and knowledge of the greater realm. The angels in our lives facilitate our passage. The angels in larger circles of society facilitate humanity to evolve and grow. The dark forces are there as well to block entrance to information, certain circles, and to certain information and esoteric knowledge. For this reason, you can never be sure of the significance of a seemingly common interaction. The keys to the gates to the portals of connection with the consciousness are tightly held. Blocks are placed in the way, social and mental barricades to understanding. This is accomplished by means of indoctrination into social and religious systems of thought. The hidden science so must masquerade as art; arcane, mysterious art, the art of the gypsy and the shaman. Important truths go in disguise as superstition and mythology. The truth is not easily found. Some contend that the truth is so precious that it must be guarded by a moat of lies. This presents a challenge for investigations into the realm of the psyche; the path which is the way to the realization of the true nature of reality. Why doesn't everyone have access to the knowledge of the few, the science of magic? It is that this access would empower each of us to live the lives we want, not the lives some powerful people want for us. Formidable forces aim to maintain control of the hidden psychic world, to contain the knowledge of the true nature of the universe and of the psyche, being that both are one, each a reflection of the other. Within the individual is held the means to access the universal consciousness. Each of us is a portal to and a representative of the light of knowledge and truth. If we seek to become one with this nature we will find understanding. When the heart is opened to the light and the veil of fear is broken, the new birth of consciousness, individually or collectively a new renaissance, begins. The consciousness will rise as the gates to the inter-dimensional world are opened. The emergence of the idea of individual empowerment in the era of the renaissance allowed tarot cards to gain great popularity. The cards by the nature of their symbolism are portals, links to a different world, a world of individual power. They were widely available thanks to the printing press. But soon the exuberance and optimism of self empowerment and the era of the new birth of humanity was dampened by the church with science under its control. Personal power comes with awareness of the control being employed upon us. Knowledge cannot be contained securely. The same methods of magic which those in power use for themselves and against us can be employed by us for our own benefit and protection. Secrecy is their advantage and it is guarded by fear. They have put great energy into scaring us away from the gates by means of tying the concept of the occult to sinister people and frightening ideas. But the word 'occult' simply means 'hidden'. They would like it to stay that way, as knowledge is power. Knowledge however, cannot be contained, not when there are those who are diligent in its pursuit. There is nothing to fear and everything to gain in connecting with the spiritual renaissance of the realization of human potential, both collective and individual. Smooth sailing or rough roads ahead? Let this free sample Life Path Reading help you navigate your life's journey!